The mythical new Golden Owl of Athena slot from Betsoft -- get free spins at Intertops Poker July 2-8! 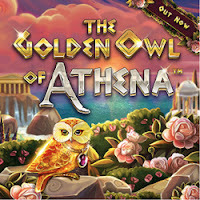 Join the Intertops Poker and Juicy Stakes Casino in welcoming the all new Golden Owl of Athena slot game from Betsoft. From July 2 – 8, active players get 10 free spins on the new slot just for being an . "I always love 'ancient world' games. It's fun to transport yourself to a different time," said one of the first players to try the new game. "This new Special Symbol thing paid out really well for me!" The Golden Owl is both Wild and a Scatter. Three trigger up to 20 free spins with one Special Symbol, anointed by Athena, that expands to fill the reel and award bonus wins. "Betsoft just keeps outdoing themselves!" said Intertops Poker's casino manager. "The visuals are jaw-dropping in this big screen, hi rez game. And its expanding symbol sets up lots of chances to win." Intertops Poker and Juicy Stakes Casino are best known for their busy online poker rooms on the Horizon Poker Network where they'll be hosting a $2000 GTD Independence Day poker tournament on the 4th. 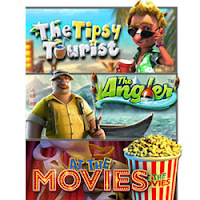 They also offer hundreds of online slots and table games from Betsoft, Lucktap and Worldmatch. All players that made a deposit in June qualify for free spins. Available July 2 – 8, 2018 only. 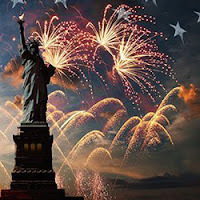 This year to celebrate Independence Day, Intertops Poker and Juicy Stakes Casino are hosting a poker tournament with a guaranteed prize pool of $2,000. Buy-in to satellites held four times a day for just $3, plus an entry fee of 30¢. The winner is guaranteed a place in the 4th of July grand final. The ‘$2000 GTD Independence Day satellite' events run from June 26 to July 4 at 7:05am, 2:05pm and 7:05pm EDT. "Independence Day is one of the biggest celebration days of the year in the US," Intertops Poker's manager said. "Among the fireworks, parades, barbecues, carnivals, fairs, picnics, concerts, baseball games and family reunions, we will be running our fantastic satellite poker tournament. You can also try your luck in two '$2000 GTD Independence Day LAST CHANCE' events on July 4. These events will take place at 11:10am and 3:10pm EDT, with buy-ins priced at 90¢ plus an entry fee of 9¢. If you feel confident enough to head straight to where the main action is, you can buy a ticket directly for the '$2000 GTD Independence Day FINAL' at 7pm EDT on July 4th. Final tickets cost $35 plus and entry fee of $3.50, with the overall winner set to experience an Independence Day they will never forget by taking away the grand prize of $2,000. "This year, the Fourth of July party will be bigger than ever before. We can't wait to get started." It’s been a big year for WinADay Casino! 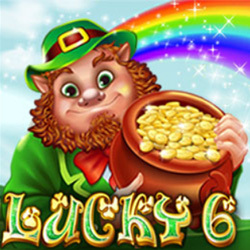 Five amazing new games have been added and the site-wide progressive jackpot was hit for a record-breaking $277,482. Perhaps the biggest event of the year was the addition of cryptocurrency for deposits and withdrawals. 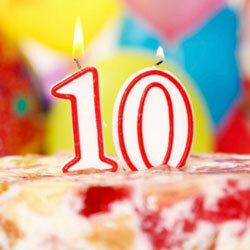 So, on its 10th birthday this week, the innovative online casino is ready to celebrate. Another new game called Vegas Vibes launched today and 10th birthday bonuses, including a Freebie of up to $100, will be available until June 28. WinADay first introduced cryptocurrencies last July when Bitcoin became an option for deposits and withdrawals. Litecoin was added in February. Bitcoin Cash became another choice in March. It has quickly become players’ preferred cryptocurrency since fees are lowest and processing time is quickest. A thirty-year-old IT worker started 2018 by winning WinADay’s site-wide progressive jackpot. On New Year’s Eve, Steve M won $103,030 on the Leprechaun Luck slot and used it to pay off his student loan. Then in October, Jose P won WinADay’s biggest jackpot ever when he won $277,482 playing the Pyramid Plunder slot. A hurricane had just hit Puerto Rico where he is from so he donated some of his win to hurricane relief. 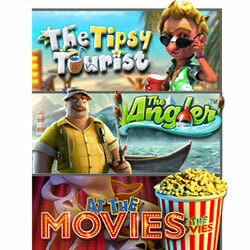 As it has from day one, WinADay is continually adding to its selection of unique casino games. The devilish Blazing Wilds launched last fall. The romantic Phantom of the Opera arrived for Valentines Day. Last month, the fierce Ninja warrior in Ninja Power first began leaping across the screen. With stars of The Strip like Elvis and Cher on its reels, the new Vegas Vibes slot that made its debut today brings the thrills of Las Vegas to computers, smartphones and tablets. It has a bonus round that awards up to 15 free games with a 3X bet multiplier. During free spins, the wild symbol becomes an Expanding Wild. Hitting five Elvis symbols with a max bet placed wins the casino’s progressive jackpot which is currently nearly $200,000 and rising. Available June 20-28, 2018 only. Wagering requirement 35X; Max. cash-out 6X. Deposit $25-$250. Wagering requirement: 37X. Deposit $25-$500. May be redeemed twice. Wagering requirement 32X. Deposit $25-$500. May be redeemed once per day. Deposit $25-$500. Wagering requirement 25X. May be redeemed three times per day. Birthday Bonuses above are valid for all slots and Keno. Deposit $25-$250. Wagering requirement 20X. Valid for video poker games only. May be redeemed three times per day. Wagering requirement 32X. Valid for Vegas Vibes only. In its 11th year, WinADay Casino looks forward to adding many more new games and to welcoming players from all over the world. 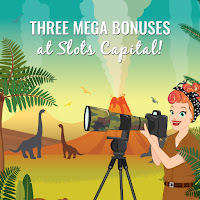 With the opening of the latest Jurassic World movie, Slots Capital Casino's intrepid casino blogger, Slots Lotty, has dinosaurs on the brain! Lotty is setting out on a dinosaur adventure of her own, along with some rare dinosaur species, she's also discovered three Jurassic Casino Bonuses! "This morning I think I saw one dinosaur grazing in the swamp, but I don't Thinkhesaurus," laughed Lotty. "I saw another one that just seemed to sleep all day. Must have been a Dinosnore." "Another one had such an extensive vocabulary," Lotty continued. "He must have been a Thesaurus. Omigod, I crack me up!" 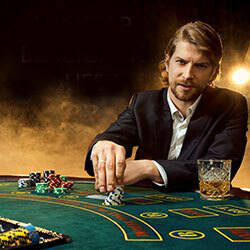 Slots Capital offers a wide selection of unique slots and other casino games from Rival Gaming as well as table games like Blackjack and Roulette. They can be played on desktop and laptop computers in the downloaded or instant play online casino, or in the mobile casino for smartphones and tablets. Until the end of the month, three casino bonuses are available on all games including dinosaur themed game Million Reels BC. 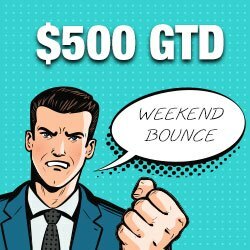 Max deposit $500, no max cash out, 45X rollover. Max deposit $500, no max cash out, 30X rollover. Set out on a exciting new adventure towards bonuses of up to 100%, free spins and big cash wins at Intertops Casino as you experience the all-new Secret Jungle slot. The stunning new five-reel slot, featuring 50 adjustable paylines, offers the chance to explore deep into the wilderness and uncover golden riches just waiting to be claimed. 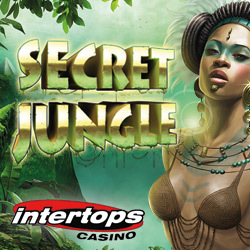 "We're super-excited about Secret Jungle," says Intertops Casino's manager. 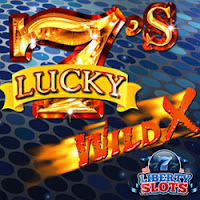 "This looks like a fabulously fun game, with great features and opportunities to win big money. Your main task on this new Realtime Gaming slot is to discover pyramids, which are located deep in the jungle. You can trigger a maximum possible multiplier of 10x if you discover all of them on the reels. "It's perfect for the budding Indiana Jones, with all kinds of archaeological symbols and danger at every turn. There's so many chances to succeed, and Intertops Casino is pleased to offer some extra bonuses for players." 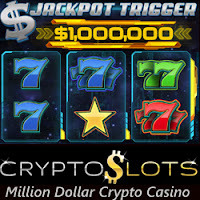 A glittering Wild Idol triples any prize it appears in, while three or more scattered pyramids will award up to 88 free games, with any retrigger awarding extra free games and increasing the free games prize multiplier. New online gaming brand Klasino.com has become the latest operator to join the gaming software platform of White Hat Gaming, the market-leading casino content and platform provider. This launch marks the first partnership between White Hat Gaming and 8 Ball Games Ltd, which is part of Stride Gaming. Ryan Solomon, Director of Casino at 8 Ball Games Ltd, said: "We are delighted to partner with White Hat Gaming to produce a top quality and competitive casino site. "The platform's functionality and flexibility allow us to create a unique and distinctive website offering based on our criteria demands. The library of top line content also complements an exceptional platform that allows us to target a variety of customers in the marketplace." "We look forward to growing the relationship with White Hat Gaming and launching further sites over the coming months." 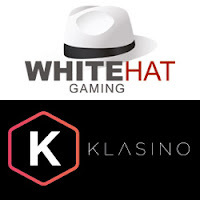 Thanks to the White Hat Gaming platform, the Klasino.com online casino will offer its players more than 500 games, as well as the chance to win massive progressive jackpots from operators like NetEnt and Microgaming. As well as presenting leading gaming titles, Klasino.com offers a premium experience on an elegant platform boasting high standards of UX. White Hat Gaming is a gaming software aggregator delivering market-leading casinos, bingo and poker content combined with a fully centralised back-office via a state-of-the-art platform. 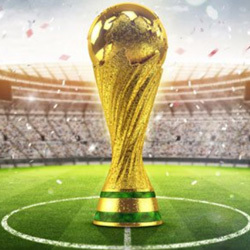 Phillip Pistauer, Head of Account Management at White Hat Gaming, said: "I applaud the phenomenal delivery of all teams at White Hat Gaming in bringing this exciting new partnership and brand to life. "Klasino is the flagship product we have launched in collaboration with Stride Gaming and 8 Ball Games Ltd and we look forward to working on many more in the future." Klasino.com operates through gambling licenses issued by the UK Gambling Commission and the Malta Gaming Authority. 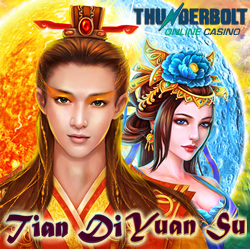 Today, South Africa's Thunderbolt Casino, added their latest addition to their growing list of feature-packed Chinese-themed slot games, Tian Di Yuan Su. Until July 6, the popular South African online casino is giving you 30 free spins on the exotic new game just for being an active player. Thunderbolt Casino, where all games are played in Rands, is one of the most popular online casinos in South Africa. It offers a huge selection of real money online slots and table games from Realtime Gaming in its online casino (download and instant-play) and in its mobile casino for smartphones and tablets. In Tian Di Yuan Su, you venture through ancient temples to acquire a vast fortune. The Sun is the Wild and doubles the pay-out when it's part of a winning combination. Eight free spins with double prizes are awarded when three or more Moon scatters appear. You are given a choice of five glowing orbs representing each of the elements. They pick one to determine how many free spins they get (up to 33) and to win multipliers up to 15X. All players that have made a deposit in the last 30 days qualify. Wagering requirement 60X, max cash-out R500. Available 6 June to 6 July 2018. Additional bonuses will be sent to players via email and casino messenger throughout the month. Realtime Gaming has already introduced five hi rez, big screen Chinese-themed slot games this year. Cai Hong pays tribute to Caishen, the Chinese God of Wealth. Fu Chi celebrates the Year of the Dog. Fantasy Mission Force and Eagle Shadow Fist are inspired by action movie hero Jackie Chan. Shanghai Lights toasts China's largest and most glamorous city.